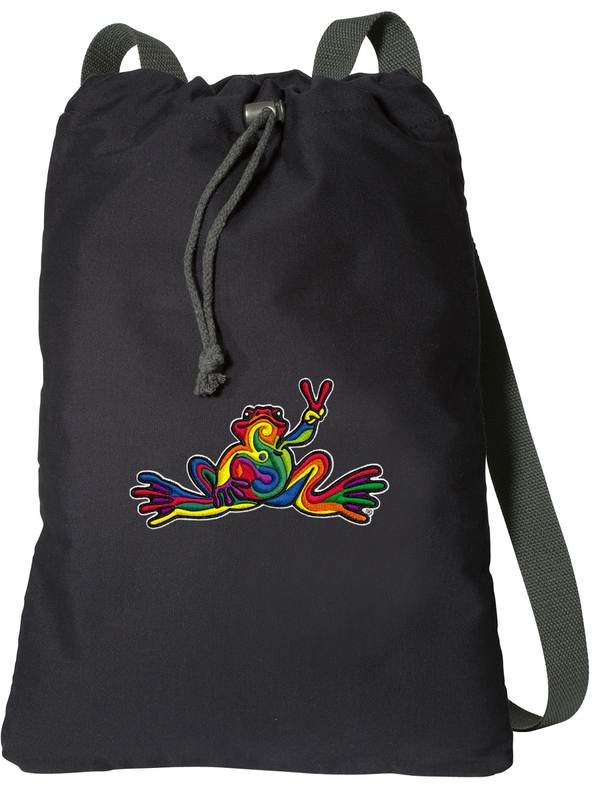 This top quality cotton Peace Frogs drawstring backpack is a refreshing change from the common nylon cinch bag. Featuring rich, vibrant colors, these bags are perfect school, travel, a change of clothes, a pair of shoes, or a towel for the pool or beach. 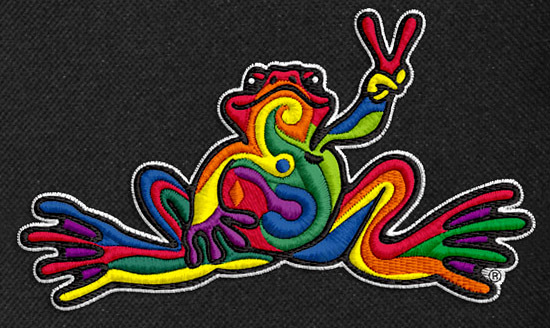 These unique Peace Frogs cinch bags are fully lined and feature a secure zippered pocket as well as a large drawstring closure main pocket. 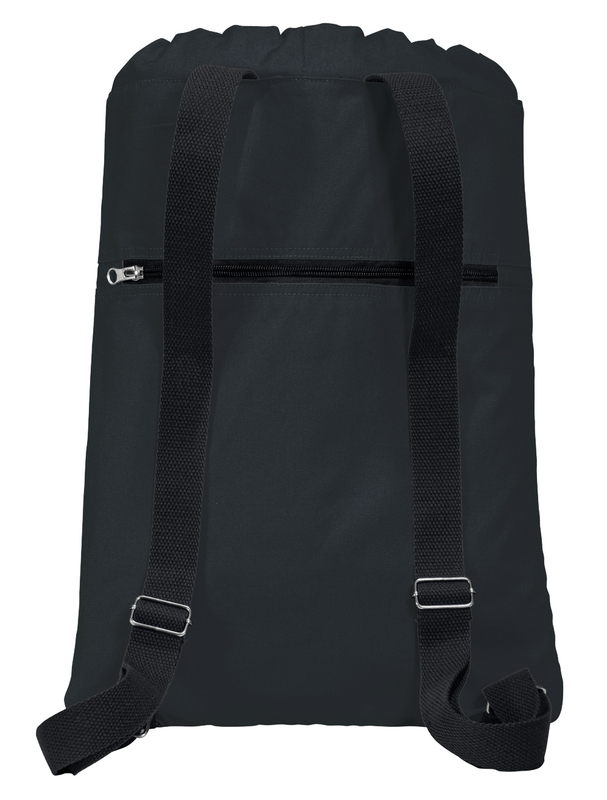 Wide adjustable shoulder straps are a vast improvement over thin shoulder biting strings common on many other drawstring bags 17.5 in high x 12 in wide laying flat.